Afraid of Mingling with the Relatives This Holiday Season? So often I hear the groans from those who anticipate the family conflicts along with the good cheer during the holiday season. The person gets a bit round-shouldered anticipating Uncle Benny’s insults or Aunt Harriet’s complaints about the new beard or the new tattoo. 1. Before the holiday gathering, commit within your own mind and heart to do no harm to Uncle Benny or Aunt Harriet no matter what they say or do. This does not mean that you refuse to stand up for yourself. It does not mean that you refuse to ask for fairness, but it does mean that you refuse to be mean in return. 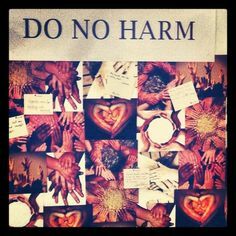 “Do no harm” requires great courage and patience. It is worth the effort so that you do not engage in an incessant exchange of acrimony. 2. Before you meet, start doing some of the work of forgiveness. See Uncle Benny and Aunt Harriet as fully human. Aren’t we all special, unique, and irreplaceable.....even the uncle and aunt? If all persons have worth, then so too do those who insult you and complain about your current life-style choices. 3. Before asking the relatives to pass the mashed potatoes, try to see their own pain, the unseen pain, the forgotten pain from perhaps years ago. Uncle Benny’s insults do not necessarily emerge spontaneously from some unknown cause. Was he insulted by one of his relatives years ago? Did he grow up with a self-image that was more in the gutter than on solid ground? Was he hurt, and then nurtured the hurt, and then became angry, and now he expresses this directly to you? Who, then, is Uncle Harry? Is he a holiday ogre or a wounded and even lonely person? 4. 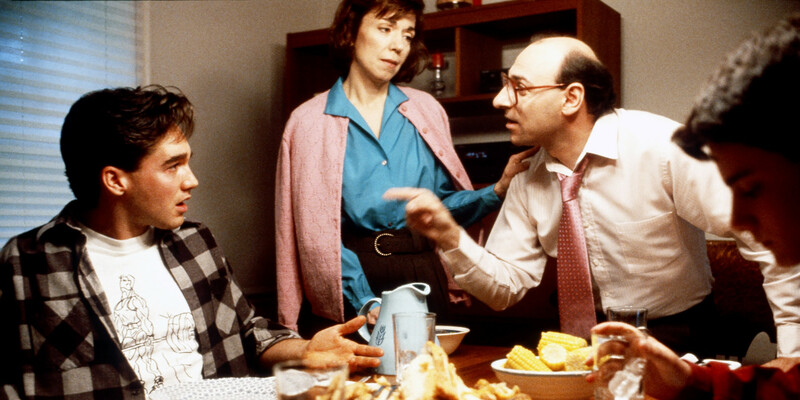 If you can, try to converse with Uncle Harry and Aunt Harriet with civility and love and a comforting smile. For this kind of interaction, please know that it takes great inner strength. If you can converse in this way, and be genuinely interested in them as persons, what does this tell you about who you are as a person? Does this show you that you, too, are a person of great worth, one who does no harm, who tries through your own pain, to see the pain in others, who strives to bind wounds rather than create them? You, I hope you see, can give the gift of forgiveness when others, even if unconsciously, offer discontent, discord, and division. You, I hope you see, are stronger than you thought you were. You are a conduit of good in the family. The lessons from Forgiveness Therapy may result in unexpected insights and perhaps even joy as you anticipate the family gathering. I don't think it's necessarily about fear, it's more like common sense: I'm not afraid of a pot of boiling water, but only an idiot would put their hand in it. Thank you very much, Chimp, for this important point. I think you are right: If we know what is going to happen when we meet Uncle Benny and Aunt Harriet, then there is little to fear. We even might be able to avoid the caustic interactions because we know they are coming. Yet, what of the situation in which it is unclear how the uncle and aunt will respond? It is like intermittent reinforcement and intermittent punishment: You just don't know when it is coming. That can induce fear and I see it all the time in people who have to meet the relatives again. It is here that preparation of the heart can reduce the fear that the water **might** boil. For example, respondents to an online survey reported that their feelings of belonging to their organizations and being welcomed and encouraged to be themselves were positively related to their intentions to disclose a disability to others at work. Robert Enright, Ph.D., is a professor of educational psychology at the University of Wisconsin-Madison and a licensed psychologist who pioneered the social scientific study of forgiveness. What were the developments in this field and where is it headed next? Is Forgiveness Related to Physical Health? A recent meta-analysis reveals that forgiving is connected to physical health. Is Forgiving for the Self or for the One Who Offended? There is a difference between why we forgive and what forgiveness is.